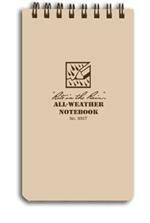 All-weather paper, and pens that are resistant to moisture. With flanged edges so cards will not blow out. Priced and sold individually, 25 per box. Metal tags you can write on with ball point pen or pencil, on both sides. Will not rust or deteriorate. Sold in boxes of 100. Priced per Box. 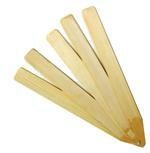 Injection molded stakes are made of heavy duty styrene from .055 to .070 thickness. Priced per 1,000. Numbered and can be imprinted with two lines of information as well. Ideal for those who require tamper proof identification of specific trees. pre-numbered. White in stock. Other colors available upon request. Long-lasting labels for outdoor application. Permanent adhesive backing. Ready for use on containers, flats, and most other smooth surfaces. 20 mil. styrene plastic. Blank push-on labels are used for labeling, color coding, and pricing your plants, trees and shrubs. Weight per 1,000 is 2.5 lbs. 100 per bundle. 1,000 per box. Priced per 1,000. 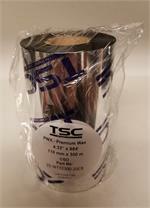 T-Stakes are produced from .030 polystyrene for easy insertion into most soil. Priced per bundle. 100 per bundle. Whether you need to print bar codes, text, graphic images, color pictures or from a database, Taggit Pro has the features to help you design and print tags and labels with ease. Labels are printed at OBC. Customer provides printing information and we print custom labels according to your specifications. Options for printing; text lines, logos, and barcodes. Unpainted. Sold in quantities of 250 per Box and 1000 per Box. These information cards can be used as "Silent Salesmen" to help sell your plants. These cards can be written on with a grease pen or permanent waterproof marking pen. Ribbon for the Desktop Thermal Printer TSC TTP-247. Customers outside Oregon & Washington -limited to 1 roll orders: call and we can refer to Sato vendor in your state! 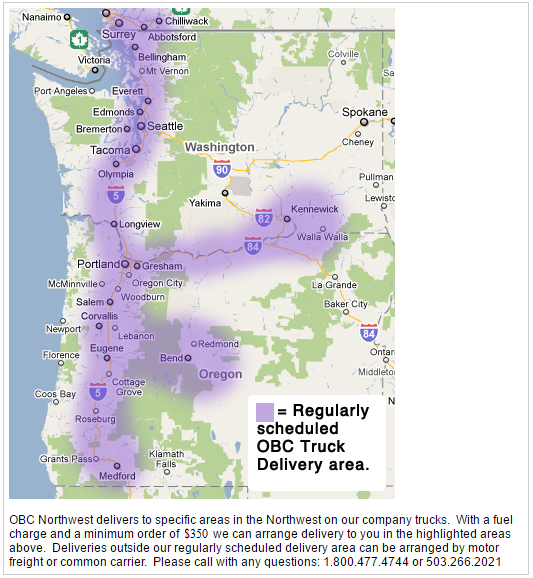 Customers outside Oregon & Washington-limited to 1 roll orders: call and we can refer to Sato vendor in your state!